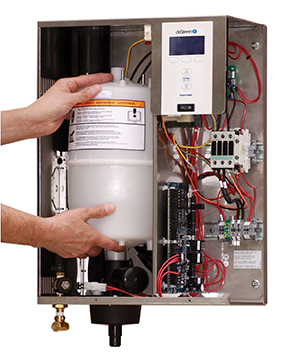 XT Series electrode humidifiers from DriSteem offer low up-front cost, easy installation, and simple maintenance with no tank cleaning. Find out how they work and the types of applications they are best suited for. See how DriSteem XT Series electrode steam humidifiers monitor and adjust the electrical current in the water that they boil away into steam. Easy installation and minimal maintenance make XT Series one of the most affordable humidification systems to purchase and install. 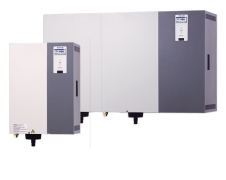 Our XT series electrode humidifiers are easy to install and require minimal maintenance.